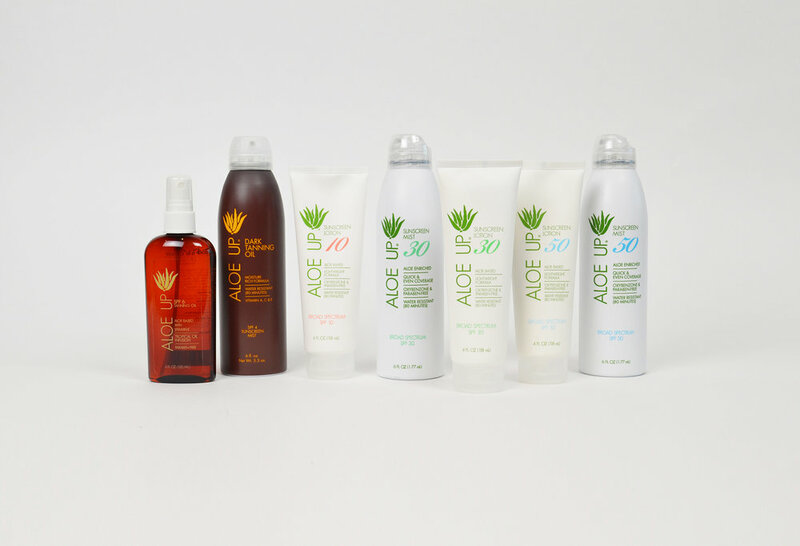 The White Collection's simple yet elegant package design partnered with a nutricosmetic list of ingredients including Acai Berry, Green Tea, Vitamins A & E, Coconut Oil and Cocoa Seed Butter, engineers a superior sun and skin care product line. A hint of refreshing fragrance is pleasing to the nose, while your skin will be happy to know this formula does not contain Parabens, Oxybenzone or Alcohol. 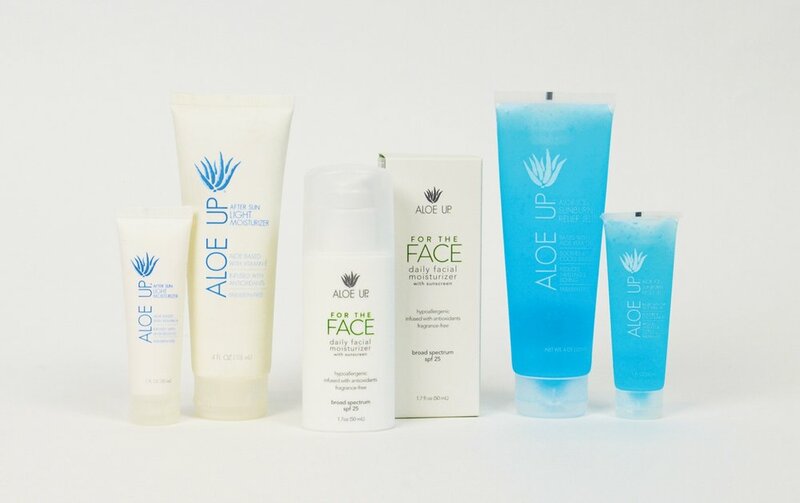 The Aloe Up Sport collection is designed for the extreme athlete in all of us. 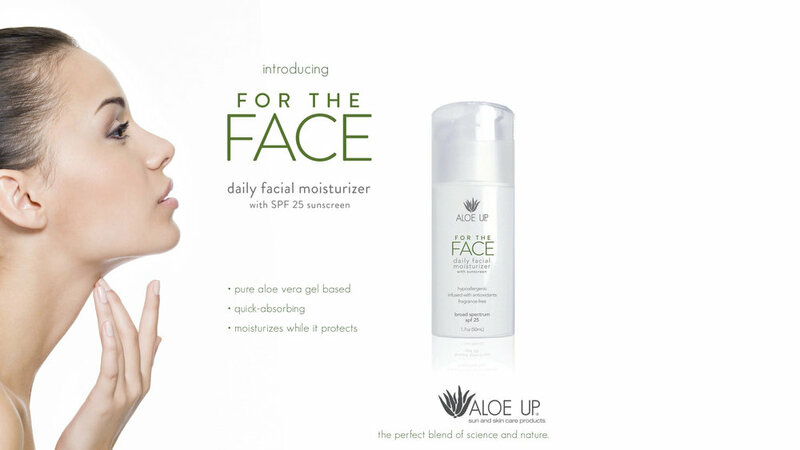 Our 35% by volume pure Aloe Vera Gel base provides natural moisturizing properties which allows the product to penetrate your skin and breathe; leaving no greasy residue - no mineral oil. Water resistant (80 minutes). 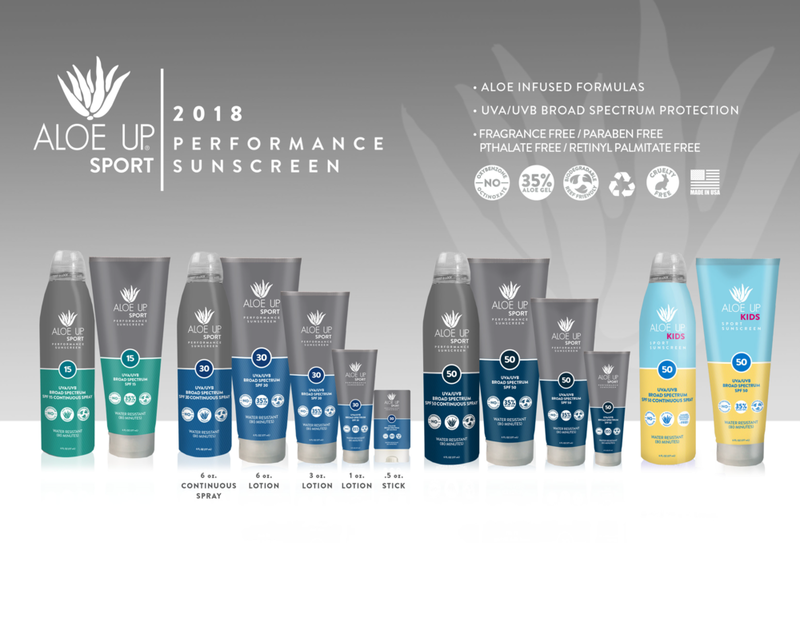 The unique combination of 5 active ingredients provide full UVA/UVB Broad Spectrum Protection. (5 ***** rating) Your skin will thank us as our antioxidant infused formula was strategically developed without to use of undesirable ingredients such as Oxybenzone and Parabens.